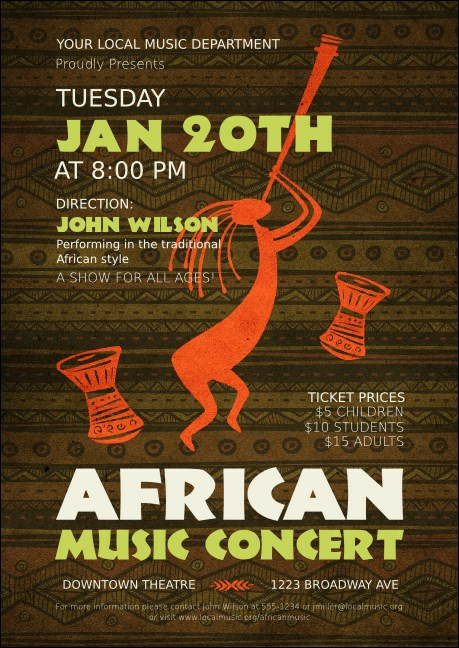 Let potential guests know about your coming event with the African Music Postcard! Perfect for everything from community fairs and conventions to house parties or fundraisers, this festive design commands attention. Twenty bright text lines are easy to edit with all your info. Raise awareness with the right postcard from TicketPrinting.com!